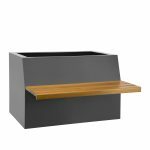 The Sloping Back Bench planter is a popular design due to the ergonomic, comfortable seating position of the sloping back. 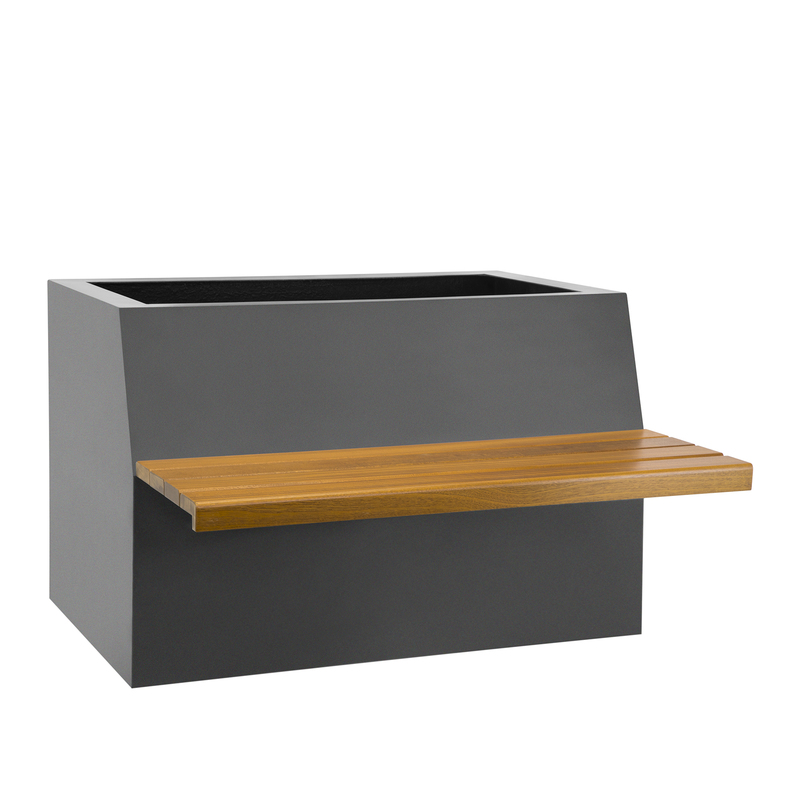 This bench has a built in planter which helps create a more pleasant environment to relax. Just add plants! 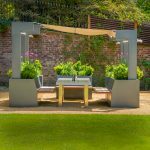 Perfect for small gardens or as street furniture. 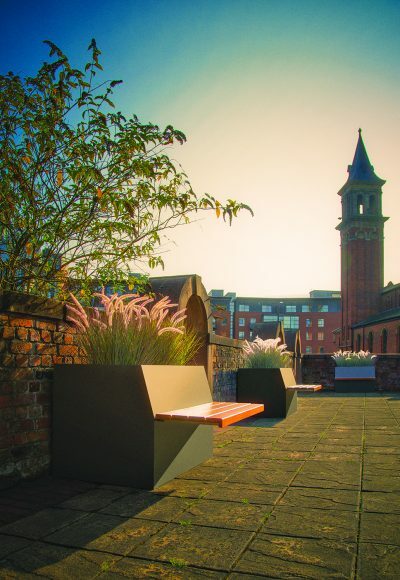 The timber used is responsibly sourced (FSC) and there is a wide variety of to choose from including, Sapele, Cumaru, Western Red Cedar and Iroko. 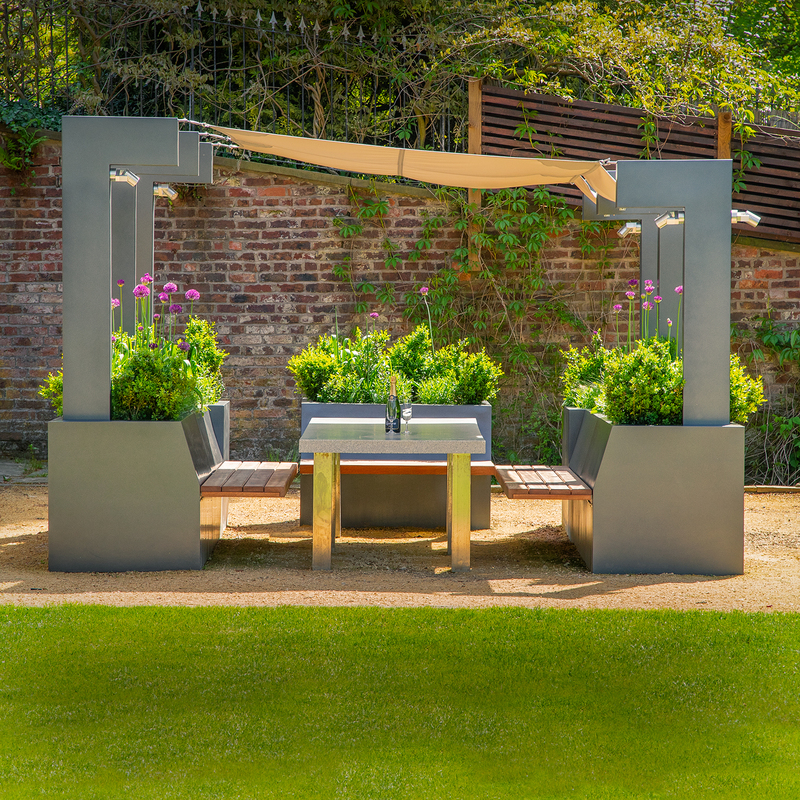 Also the GRP is available in any RAL colour matt, satin, gloss or metallic finishes.